Monday was a milestone day for me. Literally. 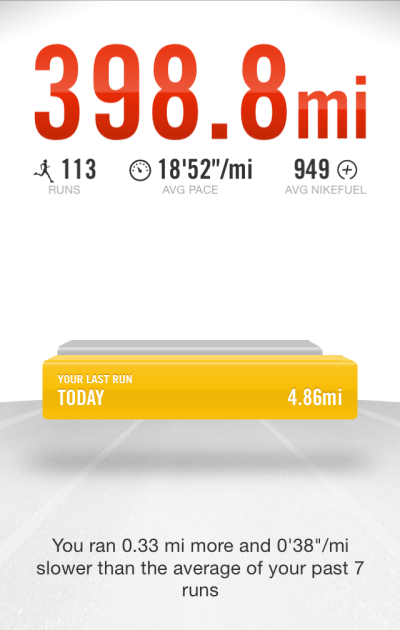 On Dec. 16, 2013 I started using the Nike+ running app to track my walks. 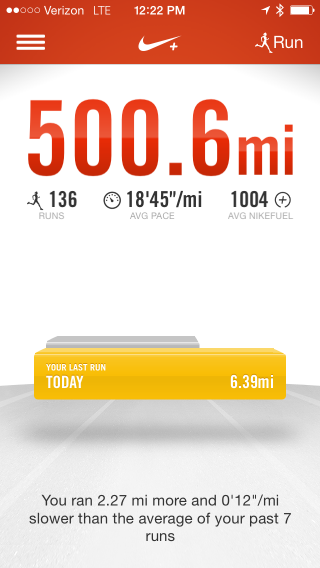 11 months and 136 walks later, I passed 500 miles. 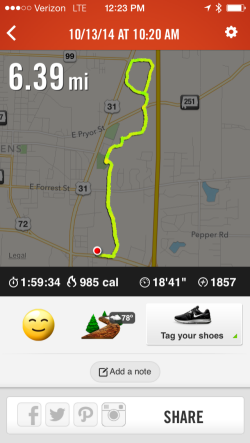 That first walk at the end of 2013 was 2.5 miles. 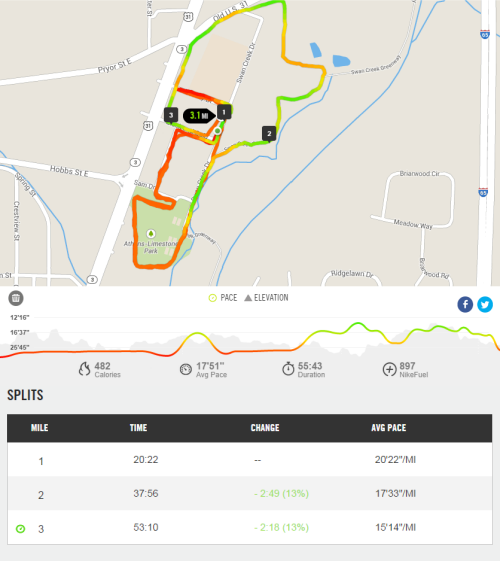 2 months after gastric sleeve surgery I was still getting in "walking shape" and shooting for 20 minute miles, and 2.5 miles was a nice little challenge. After I would walk, I would pretty much be worn out and ready for bed. 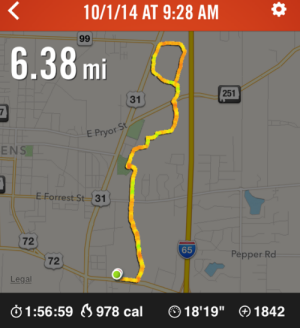 Monday morning, I walked for almost 2 hours and traveled over 6 miles. The best part is that except for some leg muscle soreness that kicked in about 3 hours later, it felt like a normal day. Jerry sent me a text to warn me of upcoming storms later in the day (he's my designated weather alert system) and that if I wanted to go walk I should get a move on. 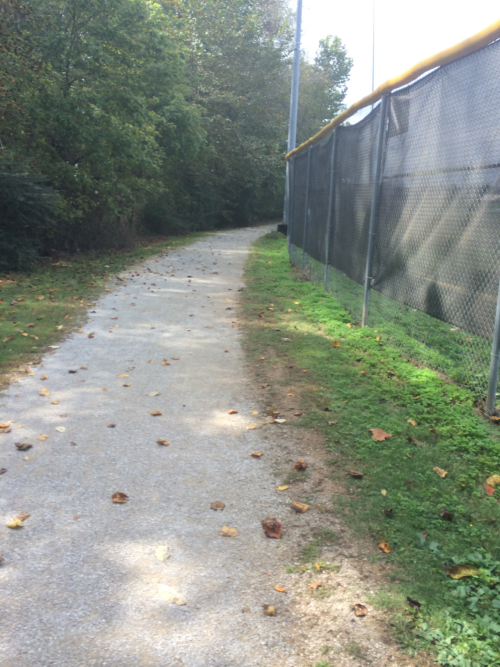 We were on the same page, as I was on the tail end of my walk and heading back toward the car around Mile 4, where the Athens greenway hits the track behind the baseball fields of Athens High School. Nice, but nondescript. 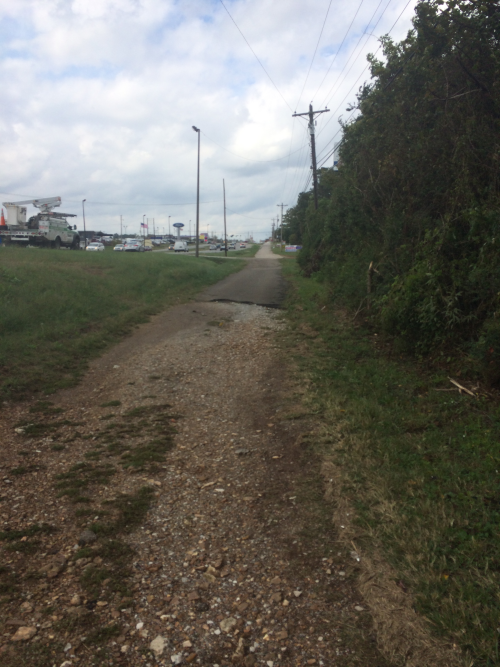 Eventually I made it out of the greenway and came out along Highway 72. I still have a quarter mile left on my walk as I've started to park in the Lowe's parking lot. 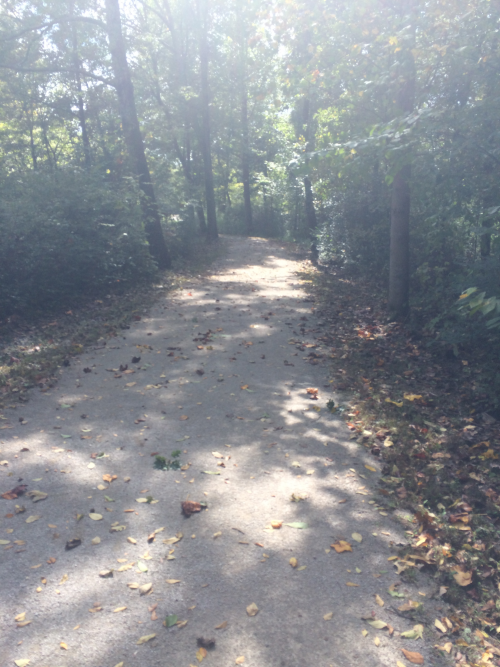 The greenway has a grassy area to park in, but I kept timing my walks with mowing schedules. 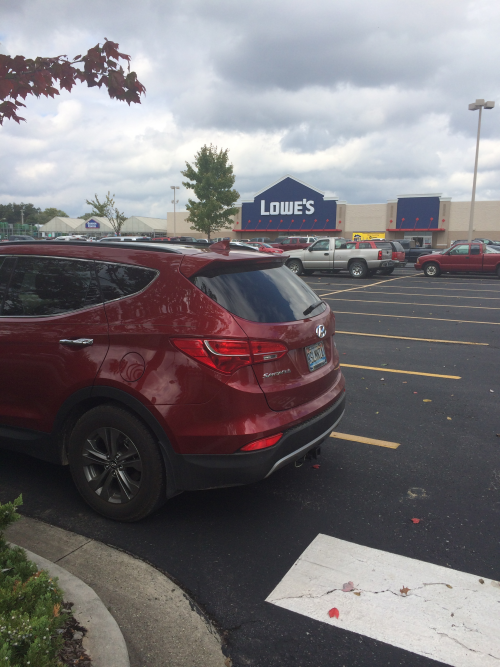 Jsut to make life easier, and to add a consistent length to my walks, I picked a designated parking spot at Lowes. It seems to work. Every once in a while I get a call from Gina asking "Are you walking? I think I saw your car." So now I have walked 500 hundred miles. I guess I'll walk 500 more. I bet that song's still going to be stuck in my head for a while. 1 year ago (yesterday), 401 lb me went off to the hospital for Gastric Sleeve surgery. Yesterday, 297 lb me thought about what's happened in the past year. I've had a f'n awesome year. There have been a few low points (being unemployed again would certainly count), but looking at the things that are actively under my control, I'm completely happy. There are day to day things I do that I make sure not to take for granted, little things like walking across a parking lot and not being sweaty and out of breath. To celebrate such, I went for a 6+ mile walk this morning. My biggest question asked is still if I miss eating the things I used to. I don't. The idea of a big juicy steak and baked potato, or even a binge trip to good old Sonic for corn dogs and cheese sticks sounds good and causes my mouth to water (it's watering as I type this), but were it all sitting in front of me I wouldn't touch it. Tempted probably, but I would stay away. My friend that I've never met, James Buchanon Puckeepsee (not his real name) has a compulsive personality. Alcohol, food, exerciser. I think he's found how to focus his compulsiveness positively (mainly exercise) but that wasn't always the case. Some 10+ years ago, I heard a recording of a talk he gave to a group at Overeaters Anonymous. He brought up a point that has always stuck with me, but only now can I really apply it. 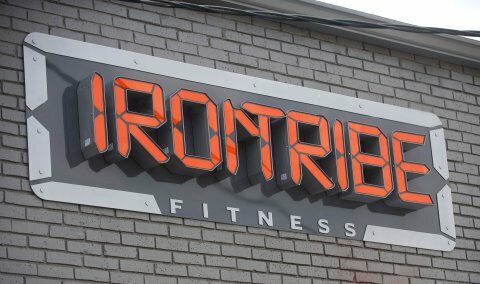 Dieting is the only activity where you reward yourself with what you're trying to avoid. As a reward for losing 10 lbs, have some cake (or something else you've restricted yourself from)! Over the past year I've not thought of food as a reward. I've tried to make my menu fairly mundane. I'll have an occasional treat, but not for doing anything special or as a reward. Instead, I'll think back over the past month or so and see if I've not gotten carried away with eating anything I shouldn't. If I've stayed on track, I'll allow myself to falter a little. Tuesday night I had some chocolate chip cookies, no diet/fat-free/low-sugar ingredients anywhere near them. They weren't a reward, they were a treat. I ate them, now time to move on to more protein shakes and salads. The exercise regimen that James McDonald Puckington (not his real name) focuses on is also inspirational, although I don't take it to his extremes I do make an effort to be more active than the 441 lb lump on the couch I once was. I'll try to get out and walk 3 times per week. If I don't, it's ok and I don't beat myself up about it. If I do, it's ok and I don't need to shout to the heavens and get kudos. Walking is something I do for me - it makes me feel better. Sure, I'll mention it here when I hit a milestone (should hit 500 miles total walking this month) or go particularly farther than normal (did I mention 6.38 miles this morning, much more than my normal, piddly 5 miles), but in all honesty reading about hey, I walked 5 miles again for the 3rd time this month is about as boring as it would be to type it. When out on my walks through the Athens greenway system I enjoy myself and take active notice that I couldn't do this very activity a year ago, and that makes me smile. As for complications from my surgery and the side effects thereof, I never had any. Never threw up. No hair loss. No vitamin deficiency. No protein deficiency. I'm still drinking 3 protein shakes per day. I'm still taking vitamin supplements 5 times per day. The doctor expected me to be around 200 lbs today, so I've only lost half what he wanted. 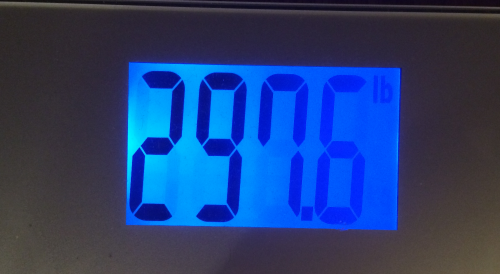 I wanted to be 240 lbs, but not necessarily today. I wanted to be healthy today. I feel pretty healthy. I'm counting that as a win. Next I keep doing what I'm doing and watching to see if more weight will slowly drop off. Maybe I'll hit that 240 yet. I'm in no rush though. And I don't think I'll stop in on Sonic along the way, either.